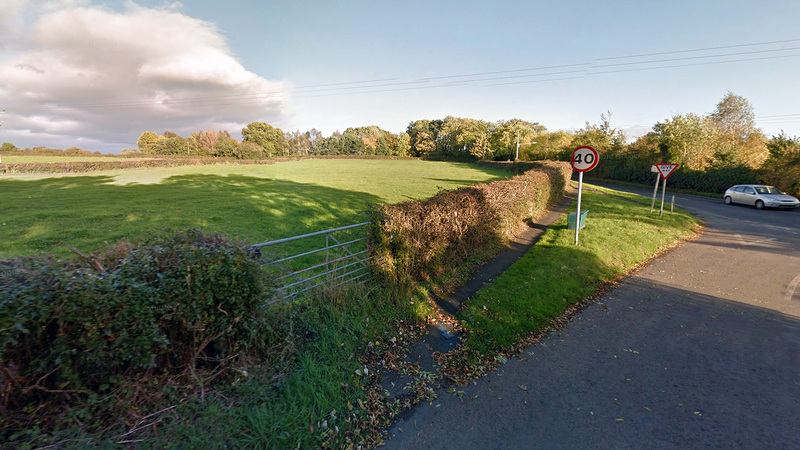 Why buy land for sale in Feckenham? 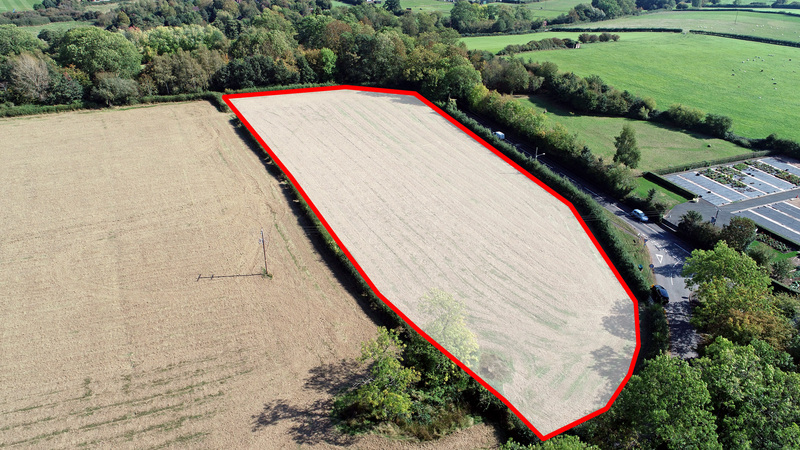 A wonderful opportunity to own a self-enclosed field with extensive road frontage and its own private gated access. Measuring over two acres, this lush pasture land is flat and bordered by mature hedgerow. The site lies opposite both commercial and residential development. The land offers potential for those looking for equestrian use in an area well suited to riding out. Less than half a mile to the north of the land lies an extensive network of bridle paths with access directly off Berrowhill Lane. The site is pleasantly situated within the highly sought-after and affluent village of Feckenham, south-west of Redditch, east of Worcester and south of Birmingham. The village has a thriving rural community and house prices here are 55% above the county average and 80% above the regional average reflecting the desirability of the area as a place to own property – including land. The site enjoys extensive road frontage onto Droitwich Road and Berrowhill Lane and benefits from its own private gated access. The land is offered for sale by private treaty. The freehold is available with vacant possession on completion. The land is designated as green belt and is situated within a Special Wildlife Site. Any development would be subject to the appropriate planning permission. Despite the Brexit-related uncertainties, the farmland market has proven more resilient than many might have predicted as pasture land prices in the region increased by up to 25% last year. 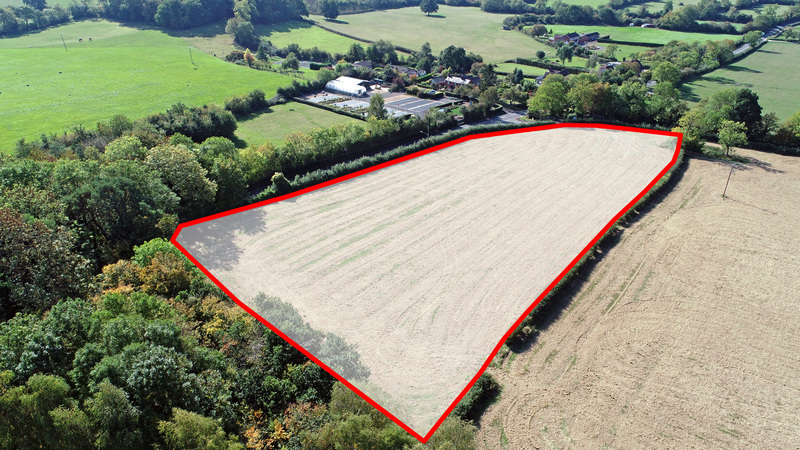 Not looking for land for sale in Feckenham? The land is available freehold as a whole. The land is situated in an extremely affluent area. House prices in Feckenham are 55% above the county average and 80% above the regional average (Zoopla). These premium house prices reflect the desirability of the area as a place to live and own property – including land. Feckenham is a desirable and affluent ‘chocolate-box’ village within the Borough of Redditch in Worcestershire, close to the border with Warwickshire. It lies 4 miles south-west of Redditch, 10 miles east of the city of Worcester and south of Birmingham. Feckenham is a very sought-after village and is home to a family owned pub, a gastro-pub, an award winning community village shop, village green, village hall and a good primary school. Redditch town centre is just over four miles away, providing a wide selection of indoor and outdoor leisure activities including, theatres, pubs, restaurants a cinema and an excellent selection of local shopping. The beautiful cathedral city of Worcester is further afield and offers visitors a wealth of interesting architecture, history, culture and leisure amenities, with a very wide selection of high street names and independent boutiques. Birmingham to the north is the second biggest city in the country. It is one of the largest international commercial centres in the world and an important transport, retail & events hub. From museums and attractions to Michelin starred restaurants and the world-famous Bullring shopping centre, Birmingham has something to offer for everyone. The land enjoys easy access to both the M5 and M42 motorways. The M5 links the Midlands to the South West and along with the M42, form the Birmingham Outer Ring Road. Nearby Bromsgrove Train Station provides frequent and direct links into Birmingham in just 26 minutes. The site lies on the edge of Feckenham, a very sought-after rural community with a traditional village green, a cricket club and an abundance of well-marked walking and riding routes. A range of community activities includes an annual two-day horse show, and a tri-annual Feckenham Flower and Garden Festival. There is an annual Summer Fair, which has a Royal Charter and Spring and Autumn Flower Shows. The surrounding countryside is an idyllic place to explore. There is even a nature reserve at nearby Wylde Moor, where you can see a selection of wild flowers, insects and birds. The land offers great potential for those looking to use the land for equestrian use as it is perfectly situated in the centre of an extensive network of bridleways. Access to these is immediately off Berrowhill Lane and bordering the northern boundary of the site. The Monarch’s Way is a historic 615 mile long-distance footpath that passes approximately 1.5 miles to the east Feckenham. It follows the escape route taken by King Charles II in 1651 after being defeated in the Battle of Worcester. This footpath takes you through two World Heritage Sites, one National Park and six Areas of Outstanding Natural Beauty plus some of the finest scenery in western and southern England. Nearby Redditch is home to the 900 acre Arrow Valley Country Park & Lake. The park includes a Local Nature Reserve, a lakeside café, gift shop, children’s play area and a skate park. The lake is also used for water sports. There are four waymarked trails for walking and riding throughout the park. A range of attractions can also be found farther afield including the iconic Malvern Hills Area of Outstanding Natural Beauty and the hugely popular tourist town of Stratford-upon-Avon – the birthplace of William Shakespeare. 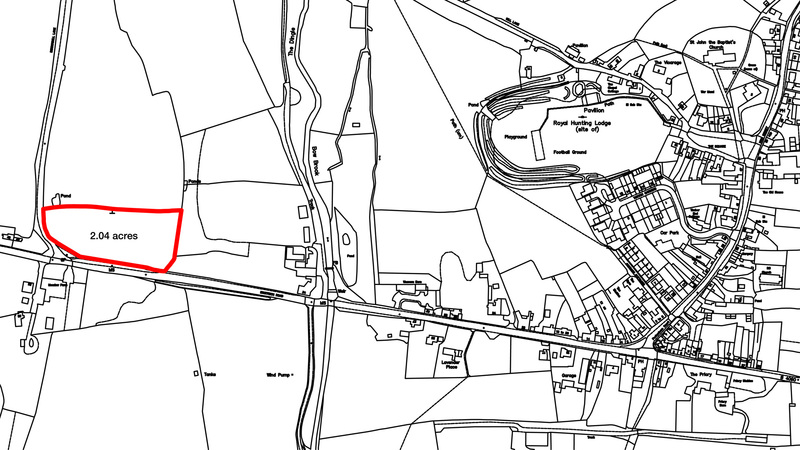 To arrange a site visit or to buy the land for sale in Feckenham; please call 01727 701330 or email enquiries@vantageland.co.uk.